Do you believe in love at first sight? Actually, it's possible to fall in love in just 7 seconds and this video prooves that the Lamborghini Huracan is a fantastic piece of automotive engineering that sounds and slides pretty well! 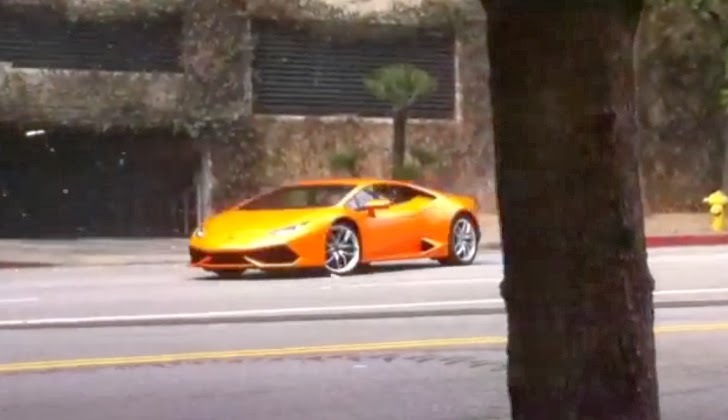 This video was taken during the making of an official commercial in the streets of the USA and shows an orange Huracan powersliding through a corner with a camera car just behind. You got a really useful blog I have been here reading for about half an hour. I am glad and your post is valuable for me. You are so talented in writing about the news and newspapers nice work keep it up. Amazing and interesting topic and nice information it's really very nice. Really you blog have very interesting and very valuable information about the 10 Fast And Furious Kid Drivers. I like your all blog's detail about the fast and furious kids driver it's really amazing.